What's New? Latest photos, uploads & scans. These galleries contain newly-uploaded images, either recently-taken digital photos or scans of earlier, film-based material. 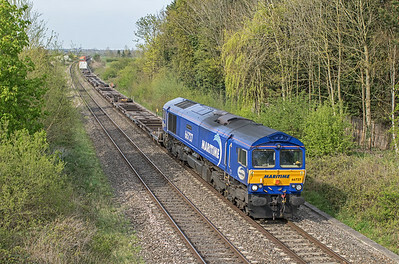 18 April - Added some pics from a sunny, if slightly hazy, day at Oxford and Radley, including a couple of 'Maritime blue' Class 66s. 17 April - Added a photo showing a new view of Dundas Aqueduct from the south, opened-up by ongoing vegetation clearance. I wonder how long it's been since this shot was possible? Steam days? 16 April - Some shots added from around Dundas Aqueduct, showing the benefits of recent lineside tree-felling there. Also a bit of tidying-up, including movement of last month's Prague railway and tram shots to a new Czech Republic gallery in the Overseas Railways folder. Other shots have been moved to the relevant routes galleries. 11 April - A sunny shot from Bartlett's Bridge, Bristol, of the Laira-Ely HST stock move added to Latest Photographs. Also a shot of the Moorswater cement empties, the London Gateway Freightliner, and some HSTs, including a GWR short 'Castle' set. 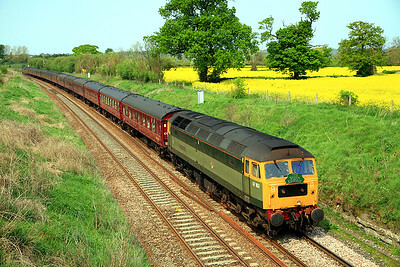 7 April - Added to Latest Photographs: couple of shots from Chalford in Gloucestershire's 'Golden Valley' including 7029 'Clun Castle' returning to revenue-earning service with a 'Cotswold Explorer' tour. 5 April - Beginning to upload some Prague railway and tram shots to Latest Photographs. (More 'touristy' photos of the Cities folder.) 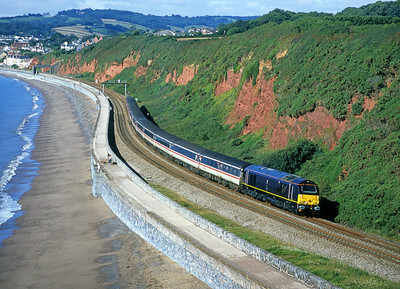 Also, some medium format photos of Class 67s in their early years have been added to Latest Scanned Images.